Rudolph Frederick Rose, Sr., better known as Rudy, began his newspaper career working for his father-in-law, J. W. Mitchell, who was editor of the La Cygne Journal. In 1945, J. W. Mitchell retired and Rudy became the new editor. 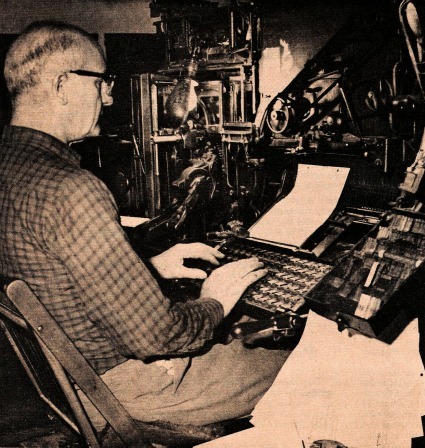 One of the first things he did as editor was to purchase a linotype machine. The picture at the left shows Rudy working at the linotype machine. A similar machine is on display at the museum, along with the paper cutter and other artifacts from the La Cygne Journal. Rudy also enjoyed flying. In 1951, when La Cygne was surrounded by a major flood, Rudy took to the air to get photos. He laughingly referred to it as "puddle jumping." These pictures are displayed at the La Cygne Historical Society Museum. 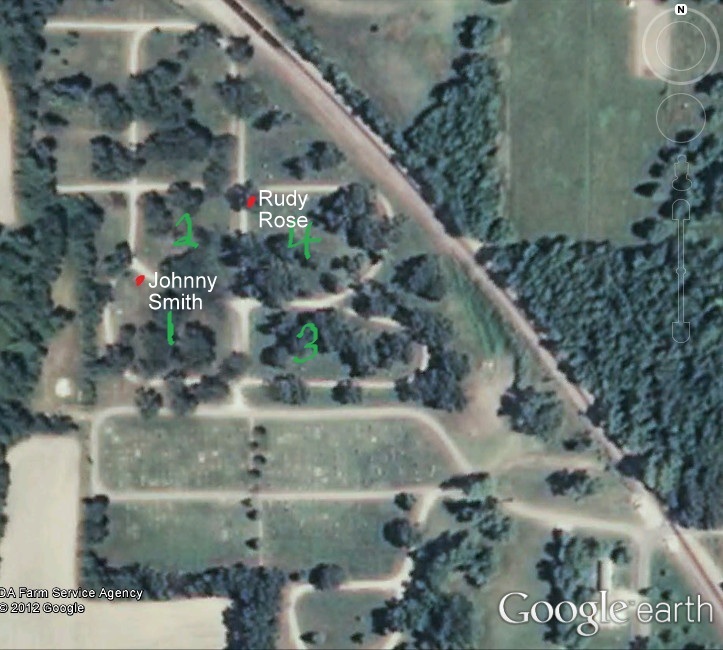 Rudy and his wife, Eleanor, are buried in Oak Lawn Cemetery in La Cygne, Kansas.